Forgotten jets, looming Brexit, and Tesla might be onto something with this whole “building cars” thing. All that and so much more for The Morning Shift of Tuesday, April 2, 2019. This is an odd one, as one of Tesla’s weak points as a car manufacturer is, well, manufacturing cars. The Model 3 notoriously went through “production hell,” and that’s what Tesla itself was calling it. Analysts believe the international rollout over the last few months will end up suppressing delivery numbers, if cars can’t be unloaded from ships and delivered to customers in time. On an earnings callin January, Musk warned that about 10,000 cars could be stuck in transit at the end of the quarter and since then things appear to have gone further awry. Ships were delayed due to a worker’s strike in Belgium, and China temporarily halted deliveries after incorrect labels were discovered on some cars. This all seems like, somehow, a very Tesla problem to have. GM’s recent plant closures made the news not just for being an extremely raw deal for American workers, but for maybe breaking GM’s union deal. You see, GM claimed it “unallocated” these plants, specifically not using language like “closure” as that would have clearly been in violation of what it had agreed on with the UAW. GM thought it was smart. The UAW took GM to court. Attorneys for General Motors have asked a federal judge to dismiss a lawsuit claiming the automaker sidestepped an agreement with union workers through its plans to idle three plants, including one in Ohio. Good luck with that, GM. The U.S. government’s highway safety agency has decided to open two new investigations into fires involving Hyundai and Kia vehicles after getting complaints of more than 3,100 fires and 103 injuries. Hyundai and Kia recently recalled 200,000 of these cars for catching fire, so we’ll see how this goes. [Ford Europe chairman Steven] Armstrong said Ford has hedged against the possibility of a sharp fall in the value of the pound through the end of 2019, while stockpiling inventory would help bridge a one or two month period of potential chaos around Brexit. “But it’s impossible really to mitigate the financial impact in the longer term of no-deal,” he said. Ford could try to pass on higher tariff costs, but that would be difficult in Britain, where a recession would mean falling sales, he added. “We haven’t really factored in completely the negative shock. There are a number of things that we would try to do but the reality is ... it would impact the whole of industry, not just Ford,” Armstrong said. Basically, we know things will get bad, we just don’t know by how much. Very relaxing. Love how all this is going down. The Renault-Nissan alliance had four private jets at its disposal, French investigators have found — three more than previously known. Carlos Ghosn, the former chief executive of Renault and former chairman of Nissan, was known for a relentless travel schedule, often using a corporate jet that bore the registration number N155AN. People close to Mr Ghosn’s family said: “This is another baseless attack from executives who knew all along that Nissan owned four planes and [who] flew on them personally”. I know it’s too early to call, but I feel like you have to side with Ghosn’s family on this one. What kind of executive are you if you only have one private jet? C’mon. Reverse: Without Him, Where Would We Get Our Sebrings? 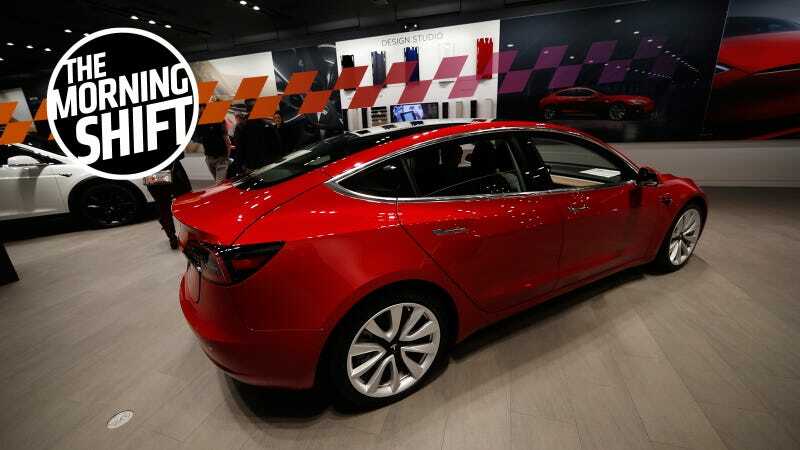 Neutral: Will Tesla Ever Become a Normal Car Company? Do you think Tesla will eventually smoothen out, either with or without Musk at its head, or do you think it will always be a non-standard kind of car company? Is it enough just to make EVs, or does Tesla have to do all its business out of the norm to survive?